Hello, and welcome! I just returned from the big On Stage event, and am so excited to share all the wonderful ideas, and products that I received. One fun event is swapping. 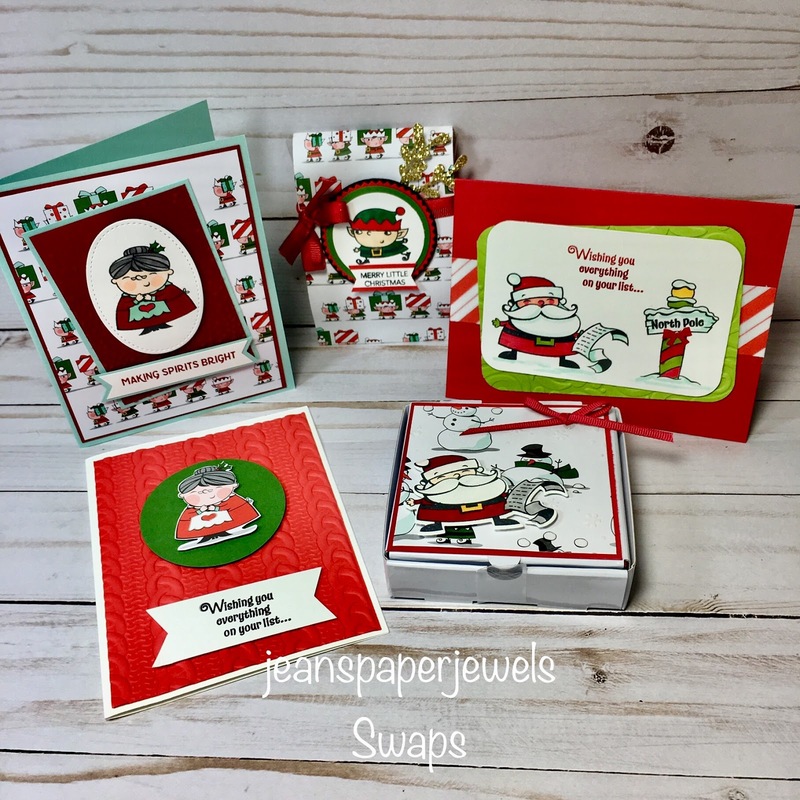 I received several projects that used the cute Signs of Santa Stamp Set, and the Santas Workshop Specialty Paper. 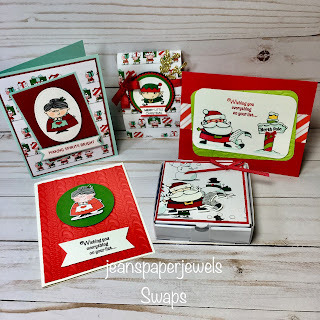 There's a great set of Framelits Dies as well - Santa's Signpost Framelits Dies. You can save 10% by purchasing the stamp set and dies together. It doesn't take long to make some sweet cards, or treat containers.